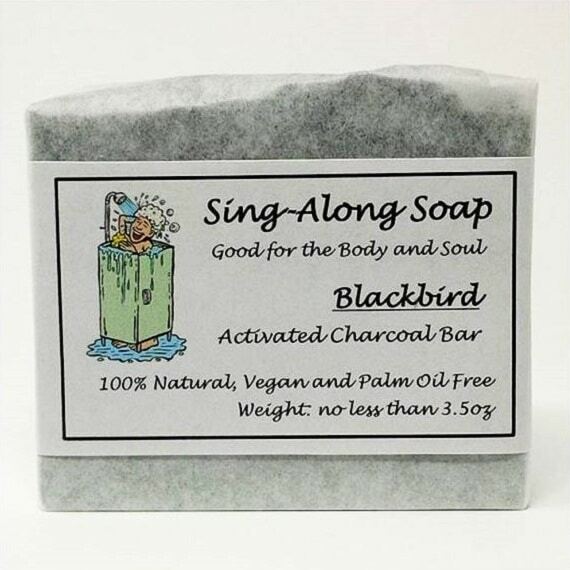 BLACKBIRD: Our ACTIVATED CHARCOAL bar is gentle yet effective in drawing out impurities and toxins. 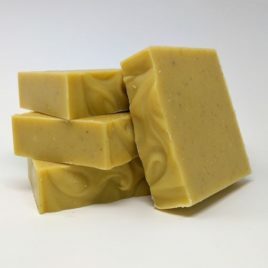 Enhanced with antibacterial agents, this bar unclogs pores and removes excess oils, making it ideal for acne-prone skin. The result is ridiculously clean, happy skin! 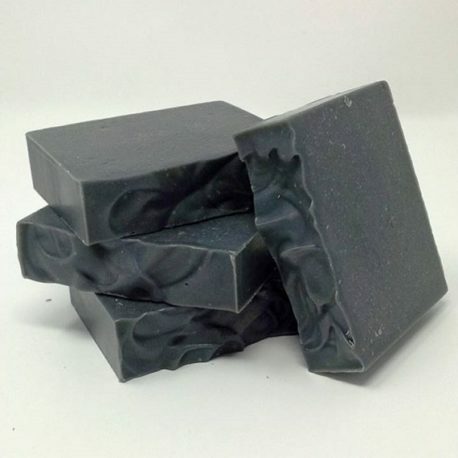 Note: This bar may lather gray. If you use a washcloth, we recommend using a dark-colored one. I purchased this soap this summer at a Farmers market in Arlington, VA. I have been using this bar for most of this summer, and my skin has never felt better. I will be making another purchase soon. I have been using soap from Sing Along Soap for years now. Before, I would use the mass-produced soap from any local grocery store and did not second guess it. 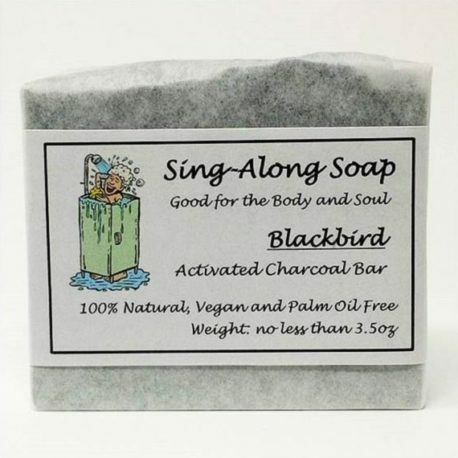 I was introduced to Sing Along Soap from a friend over 2 years ago and quickly fell in love with it. 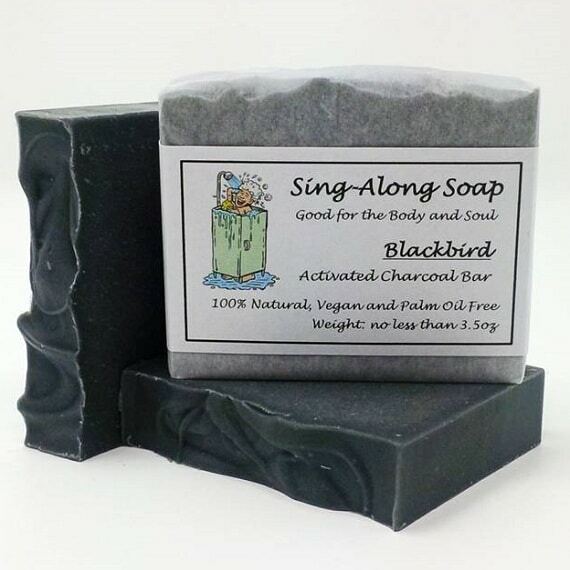 I especially like the Blackbird soap the most. I have seen a noticeable difference in my skin since using it. 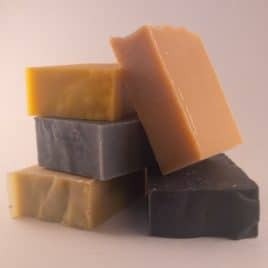 In the past, I would have frequent, body acne issues, but by using this all-natural soap I have all but alleviated those problems. My skin feels cleaner, softer, and just overall much more healthy using this soap long term. It is the only soap I use now! Love this soap. It’s a “clean that you can feel” Your skin will feel great.